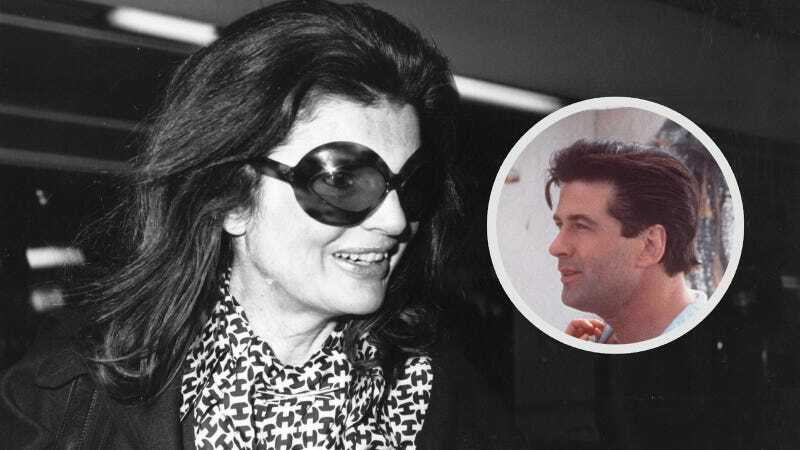 Uhh, Jackie Kennedy Onassis Had the Hots For Alec Baldwin and Tried To Date Him in the 90s? OK, so there’s this guy named Jim Hart who just wrote a memoir. I don’t know much about him (beyond the fact that he used to be married to Carly Simon), but he claims to have been good friends with Jackie Kennedy Onassis back in the day, and his Just Kids-looking book—which has an introduction by Carl Bernstein and a blurb from a Kennedy on its cover—looks legit. Anyway, this dude says he was close enough to Onassis that she shared her more “playful” side with him and Simon. One night (perhaps after watching Working Girl for the 100th time), Onassis called and asked him to set her up with his friend, 33-year-old Alec Baldwin. I’m not sure what happened next, but will race to the bookstore to find out. Jackie 2: Lit In the 90s, anyone? First of all, what a boring question to ask strangers! I was expecting something juicier, like questions about how to deal with an unruly brother-in-law and his new American girlfriend. Second of all, what websites do we think Prince William secretly comments on? Reddit? Probably reddit. Please read this thread by my coworker Kara Brown and see if you laugh as hard as I did last night. What is Ms. Tina thinking? !